Reduce the info available about you in the public domain. Data you provide on the Net lasts forever and can assist someone in assuming your identity or targeting you for a crime. Keep personal info out of business profiles. Where you live, who you know, and what you do with spare time makes you an interesting person but an easy target. Every time I watch the news, it seems a new frightening event is occurring. Swine flu, economy, identity theft and gun-carrying coworkers weren't things I used to worry about. How do you keep yourself safe in an increasingly chaotic world? As I frequently tell my clients, I want you to be prepared, not just scared, about events you can't control. I interviewed a security Relevant Products/Services specialist, Christopher Falkenberg, for tips on workplace safety. He's worked as a secret service agent and lawyer before starting Insite Security. 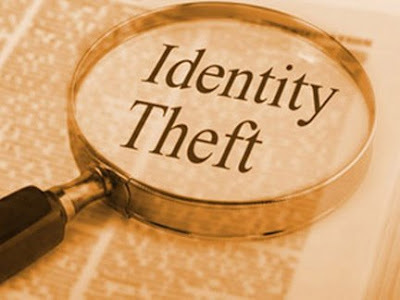 Falkenberg surprised me by pointing out that our risk for identity theft has gone down. He said the big problem now is identity impersonations. Apparently, Facebook and LinkedIn can be useful but dangerous because they can give the wrong people too much information. 1. Reduce the information available about you in the public domain. Data you provide on the Internet lasts forever and can assist someone in assuming your identity or targeting you for a crime. 2. Keep personal information out of business profiles. Where you live, who you know, and what you do with spare time makes you an interesting person but an easy target. 3. Be wary of calls you get at work. Falkenberg said criminals are masters at pretending to be a close friend of someone they stalk. If in doubt, don't give out information about coworkers. 4. If a caller pressures you to cough up confidential corporate information, be suspicious. Falkenberg said con artists may use bits of information and pressure tactics to get what they want. Check out the identity of callers. I was surprised to learn there's actually research on who survives a crisis. Turns out that pessimists fare better than optimists. Having a survival mindset means you have to imagine worst- case scenarios. If you're on a plane, have you counted the rows between you and the exit? If you're staying at a hotel, did you pay attention to the exit route? At work, have you asked about whether the organization has a plan for violence, disasters or pandemics? Falkenberg said the biggest hurdle for people in a catastrophic event is not to freeze or act habitually. Did you know that most people in a plane crash actually slow themselves down by automatically getting their carry-on luggage? Having more money or visibility actually increases your security risks (some comfort for the rest of us during this economy). Falkenberg recommends that those with higher income or visibility make certain they keep public information about them vague, business oriented and impersonal. He highlighted the need to do thorough background checks on anyone working for you. [I] frequently point out that we can't avoid adversity but we can learn ways to handle it well. Falkenberg advises that denial is no protection against a crisis. Go through your worst case scenarios, listen to your gut instincts, and don't ignore information that makes you uncomfortable.